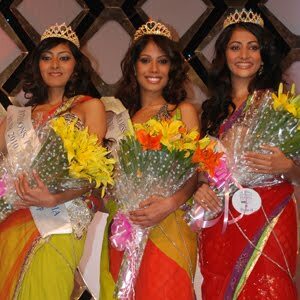 The talented and striking finalists of Pantaloons Femina Miss India South (PFMIS) 2010 were unveiled amidst much fanfare. Out of the many aspiring contestants that were shortlisted for the Regional Round, 11 Southern beauties finally made it to the top. These beauties come one step closer to ‘Live the Dream’ of becoming the most sought after beauty diva. The 11 finalists from across South India articulately walked the ramp choreographed by none other than Mr. Marc Robinson (Fashion Director & Contestant Director) and Ms. Alecia Raut (Ramp Walk Trainer). The gorgeous ladies were attired in dazzling cocktail dresses designed by renowned fashion designerMr. Shravan Kumar. The contestants looked splendid in the collection ‘Denrosa’ which highlighted the colour pink. It brought out the modern, romantic, sensuous and trendy emotional aspect of the woman. The collection was all about being confident and happy about yourself and content as the colour fuchsia pink depicts the feminine character of a woman. All the aspiring finalists will continue their journey towards the coveted pageant through 10 day long training schedule carefully put together by the Miss India expert panel comprising of Mr. Marc Robinson (Fashion Director & Contestant Director), Ms. Alecia Raut (Ramp Walk Trainer), Dr. Jamuna Pai(Cosmetic Physician),Mr. Mickey Mehta, India’s Leading Holistic Health Guru(Health and Fitness Expert) Ms. Sabira Merchant (Diction Expert), Mr.Prasad Bidappa (Contestant Advisor), Mr. Shiamak Davar, Guru of Modern Contemporary Dance in India(Dance Choreographer), Mr. Johnny Francis(Fashion Photographer for the photo shoot), Mr. Bobby Pruthi – Streax Hair Colouring and Styling Consultant, Ms. Sunila Etti – Stylist for the photo shoot, Manea Salon – Make up for the photo shoot. The star studded grand finale will take place on the December 23, 2009 at Hyderabad International Convention Centre (HICC), Hyderabad.